Leasedlayer caters to people from across the globe and we strive to safeguard the interest of each client and provide them with the best possible service. These terms of service were defined in order to ensure that our services remain of world class quality. Terms of Service or TOS define the rule and regulations for using our web hosting services. All of our services are subject to the terms defined here under. Please read all the terms carefully and make sure you understand and agree to all the terms and conditions in its entirety. Signing up for using Leasedlayer service implies that you agree with all these terms and are bound by the same. By purchasing the Services, You acknowledge and agree that You have read, understand, acknowledge and agree to be bound by all the terms and conditions of this Agreement, along with any new, different or additional terms, conditions or policies that Leasedlayer may establish and post on its website from time to time. Credit Card Payment.When you place a credit card Payment with Leasedlayer, we will, typically, bill the card a few days before your invoice is due. If the credit card charge is expired, not authorized or declined by our processing company, we will notify you via E-mail. We request that you update your card promptly. If your invoice becomes more than 24 hours past due (from the invoice Due Date) then Leasedlayer reserves the right to suspend service or terminate service after 48 hours past due until payment is received. Credit Card Payments are subjected to Manual Credit Card holder verification process. Where you need to undergo verification process like submission of address proof, Identity proof, Frontend scanned copy of the credit card. Checks, Money Orders, Wire Transfers and PayPal payments. Leasedlayer accepts both checks and money orders. In the event a check is returned, Leasedlayer will charge a returned check fee of $35.00 or, if less, legal limit in Your state or country. You are responsible for payment of all bounced check fees. In the event Your invoice is 24hours or more past due (from the invoice Due Date) then Leasedlayer reserves the right to suspend service or terminate service after 48hours past due until payment is received. Third Party Processing Options.Currently, Leasedlayer is able to accept Third Party Payments via the following sources: Pay Pal, AlertPay, Moneybookers. Payments must be fully CLEARED before they are credited to your account. Bounced payments will incur a fee of $35.00 or, if less, the legal limit for a bounced check or payment in your state or country. In the event Your invoice is 24hours or more past due (from the invoice Due Date) then Leasedlayer reserves the right to suspend service or terminate service after 48hours past due until payment is received. Leasedlayer reserves the right to charge a late fee of 2% per invoice per month on late payments. Invoices will be automatically considered late once the invoice due date has passed. In the event you fail to pay your invoice within 24hours or more of the due date, we reserve the right to suspend your service. If you are still past due on the 48 hours from the due date on the invoice, we reserve the right to terminate your service entirely and reformat your server. "Overage" is defined as usage of the Services provided by Leasedlayer to You in excess of the allocated limitation. Overages are charged for SAN, Backup, Bandwidth and Professional Services (administrative time) used in excess of the amount allocated to Your account. You agree to a month to month term for the Services unless otherwise agreed to in writing. The month to month term for services is automatically renewed each month unless either party notifies the other in writing of its desire that the Agreement not be renewed, no later than 14 days before the next upcoming anniversary date for billing. For information on how to terminate Your account, please contact the Leasedlayer billing department. When you request termination, we will follow this process: We will first contact you to confirm the termination and verify that you are authorized under your account to terminate it. Then, we will immediately suspend billing and disconnect service to the server. We are not able to schedule termination ahead of time, and all termination requests are effective immediately. Regarding mid-month or mid-period terminations, Leasedlayer will not issue pro-rated refunds for payments received in the middle of a payment cycle. Receipt by you of any Services in a given period will obligate you to pay for the Services during that entire billing period. Termination request must be submitted to the billing department. Termination request must contain the main IP address of the server you wish to cancel and specify the reason for termination of the service. Leasedlayer may terminate this Agreement effective immediately and without notice upon any breach by You of any of the terms of this Agreement. In such event, Leasedlayer shall have no obligation to refund any fees paid in advance by You. At this time, Leasedlayer does not offer a refund-based Money Back Guarantee of any kind. Under this Terms of Service agreement you must first contact Leasedlayer to attempt to resolve any billing disputes before contacting your bank or credit card company to dispute the charges. You further agree that any billing disputes must be submitted in writing to our billing department within one month of the invoice payment in question. By using our services You agree to the above policy and to contact Leasedlayer before contacting your financial institution to seek a resolution. Any abuse towards any Leasedlayer employee will not be tolerated. You are expected to request and respond to support, billing and other issues in a professional manner, when emailing, calling or submitting online tickets to Leasedlayer. Any cursing, yelling, or further intentional disruptive behavior aimed at Leasedlayer or its employees shall be considered a violation of this Terms of Service agreement. Any threat; whether orally, verbally, in writing, via E-mail, via Live Chat directed towards Leasedlayer or any of Leasedlayer's employees, partners, staff, contractors, sub-contractors, facilities, offices, etc. shall be construed as a violation of this Terms of Service agreement. Threats of physical violence will be directed to the proper authorities. No refunds shall be given for termination of the Services for violation of these provisions. Leasedlayer reserves the right to cancel, suspend or terminate any or all of the Services after receiving billing, sales or technical requests which Leasedlayer, in its sole discretion, considers unreasonable or excessive. Leasedlayer may limit, at any time or without prior notice to you, the availability and type of billing support provided. 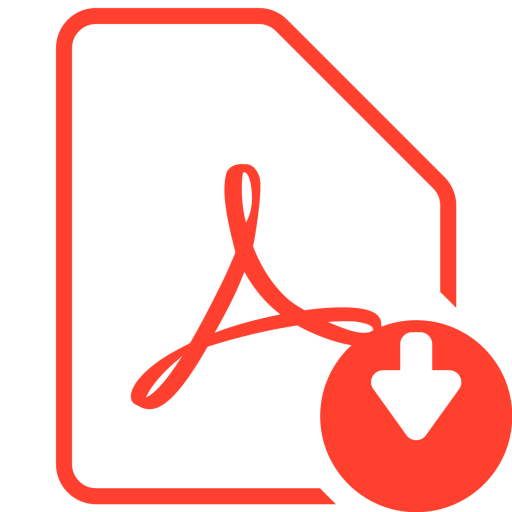 (b) make archival or backup copies of content uploaded by You to the Leasedlayer servers. Leasedlayer shall have the right, but not the obligation, to make backup copies of the data uploaded by You to the Leasedlayer servers. You are responsible for any of your content residing on Leasedlayer's servers and for the backup thereof. At all times, You bear full risk of loss of any content and software you place on the Leasedlayer servers. You are entirely responsible for maintaining the confidentiality of Your password and account information. You acknowledge and agree that You are solely responsible for all acts, omissions and use under and charges incurred with Your account or password or in connection with the server or any of the content displayed, linked, transmitted through or stored on the server. Leasedlayer does not undertake any obligation to provide management or security services unless you specifically request it to do so. If any technology specifically associated with your account requires updating, You must make a request for such update through Leasedlayer's ticketing system. You shall be solely responsible for undertaking measures to: (i) prevent any loss or damage to Your content; (ii) maintain independent archival and backup copies of Your content; and (iii) ensure the security, confidentiality and integrity of Your content transmitted through or stored on Leasedlayer servers. Leasedlayer shall have no liability to You or any other person for loss, damage or destruction of any of Your content. Leasedlayer guarantees that the Services will be available 100% of the time and, except as provided in this Agreement, in the event the Services are unavailable due to Downtime, You will be entitled to a credit or refund as set forth below. For purposes of this Agreement, the term "Uptime" refers to the amount of time the Services are available in each calendar month, measured by Leasedlayer's internal monitoring systems. The term "Downtime" shall refer to the amount of time the Services are unavailable due to issues with electrical power or network connectivity, as measured by Leasedlayer's internal monitoring systems, but shall not include unavailability of the Services caused by emergency maintenance, scheduled maintenance, system upgrades, DNS issues outside Leasedlayer's control, issues with FTP, POP, IMAP or SMTP customer access, acts or omissions by You or any of Your employees or agents, Your violation of Leasedlayer's Acceptable Use Policy, or problems with users, web browsers, DNS, or other caching that might make it appear the Services are unavailable even though other internet users can access the Services. Leasedlayer reserves the right to require changes or disable as necessary any web site, account, database, or other component that does not comply with its established policies, or to make any such modifications in an emergency at its sole discretion. Leasedlayer reserves the right to charge the holder of the account used to send any unsolicited e-mail a clean up fee or any charges incurred for blacklist removal. This cost of the clean up fee is entirely at the discretion of Leasedlayer. Leasedlayer will not be responsible for any damages your business may suffer. Leasedlayer makes no warranties of any kind, expressed or implied for services we provide. Leasedlayer disclaims any warranty or merchantability or fitness for a particular purpose. This includes loss of data resulting from delays, no deliveries, wrong delivery, and any and all service interruptions caused by Leasedlayer and its employees. Leasedlayer may disclose any subscriber information to law enforcement agencies without further consent or notification to the subscriber upon lawful request from such agencies. We will cooperate fully with law enforcement agencies. Leasedlayer reserves the right to revise its policies at any time without notice.